As the Great Scar Limestone was slowly forming in the warm, coastal shallows of the early Carboniferous; oxygen-rich water from deeper basins continually washed over it, with the submarine ‘step’ into the depths forming an excellent habitat for algal colonies and corals. A resulting ‘barrier reef’ was gradually formed, separating the shallow lagoons from the deeper water, and this barrier is easy to pick out in the landscape. 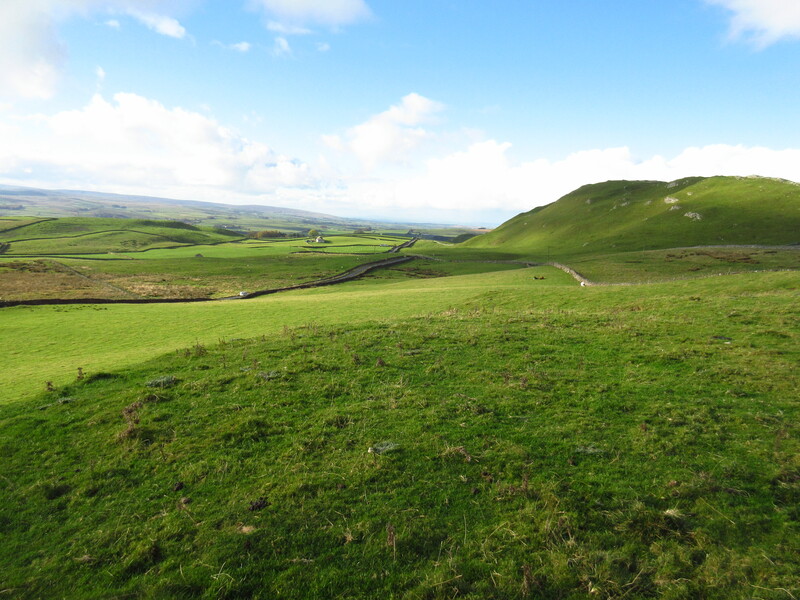 Between the Mid Craven and South Craven Faults near Settle, the division can be followed roughly west to east along a conspicuous line of ‘reef knolls’, beginning with Sugar Loaf Hill and moving through Cawden at Malham, before reaching the spectacular knolls of Wharfedale near Grassington. The barrier roughly follows the southern edge of the Askrigg Block. 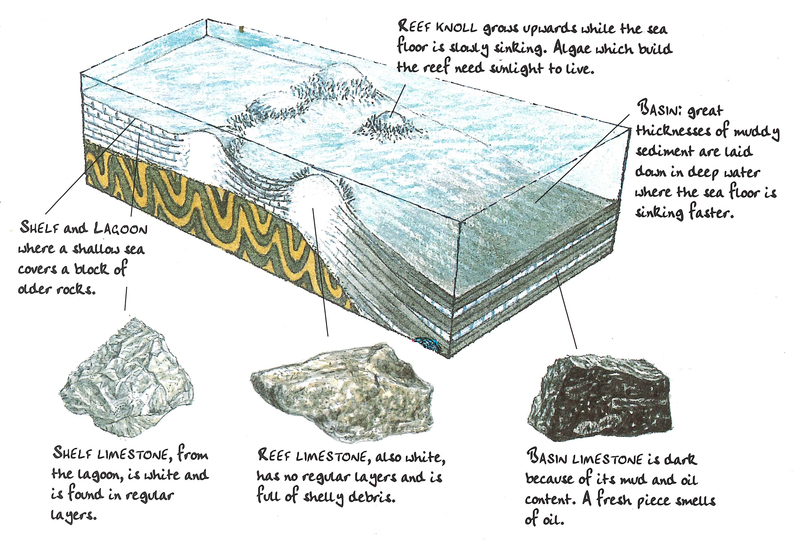 The Reef Limestone is very different in appearance and texture to the Great Scar. 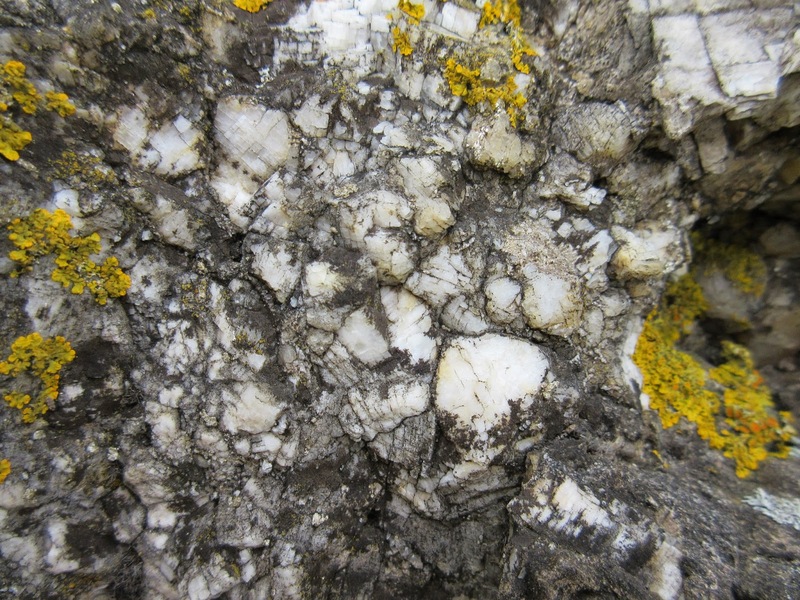 It is little more than a rapidly lithified mass of sediments, corals and algae – hence there is very little, if any, noticeable structure. It is also softer and easy to mark with a finger nail, having a more ‘chalky’ look and feel about it. Due to its composition it does, of course, triumph over the Great Scar in its fossil content. The typical ‘apron’ of a reef knoll is a fascinating menagerie of bivalves, brachiopods, bryozoans and crinoids. 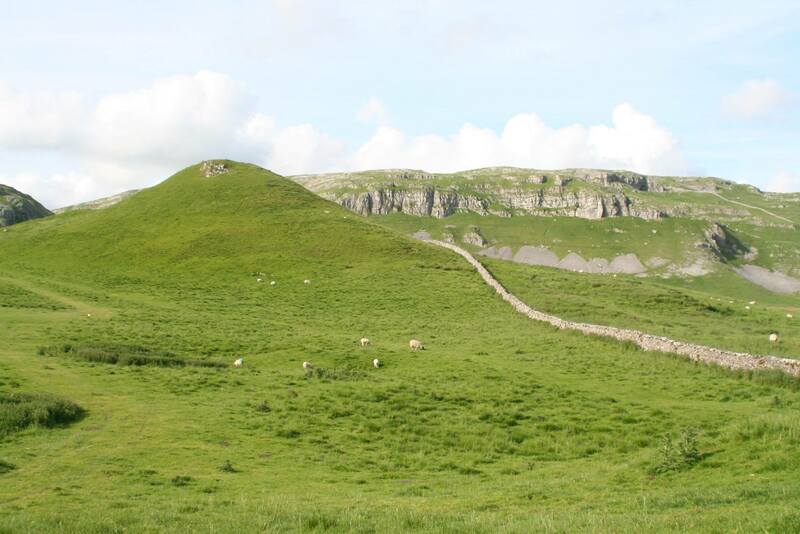 Sugar Loaf Hill near Settle is one of the finest reef knolls in the Ingleborough area. 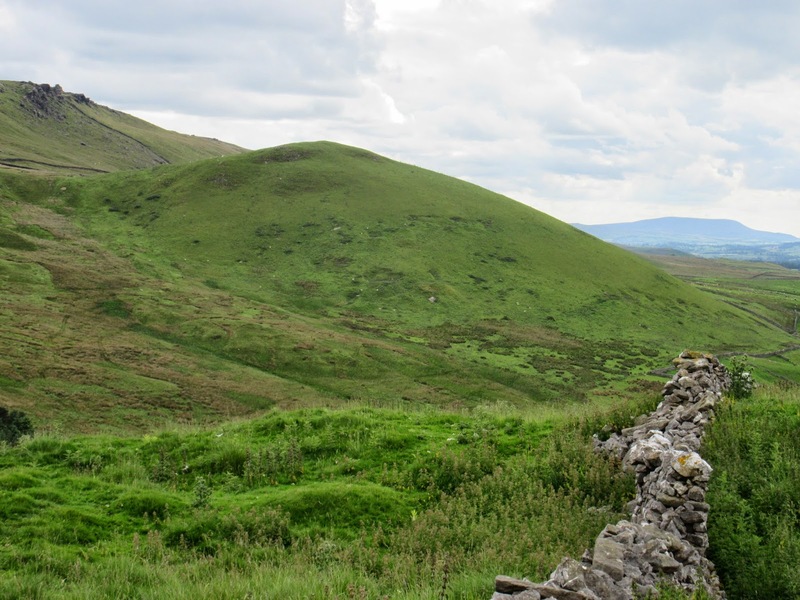 Glaciation and weathering have since removed a covering layer of Bowland Shales so that a distinctive cap of Reef Limestone protrudes, surrounded by the towering masses of Warrendale Knots and Attermire Scar. Standing on top of the Sugar Loaf and gazing over the Craven Lowlands to the south is a lobster-eye view from the sanctuary of a coral reef and out into the depths of an ancient ocean.